This presentation by the New Jersey Cybersecurity and Communications Integration Cell (cyber.nj.gov) will provide the education organization-sector with an understanding and awareness of today’s cybersecurity risk environment with an overview of the vulnerabilities, threats, and impacts of cybersecurity issues facing their sector. Analysts will discuss the sector’s risk factors, examples of recent incidents impacting the sector, and an overview of best practices to mitigate and manage risk. A Q&A session with attendees will conclude the presentation. 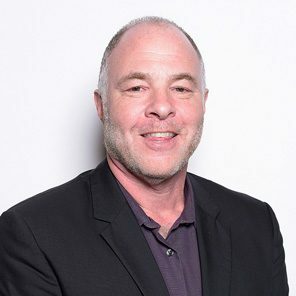 Jackson Katz, Ph.D., is an educator, author, and social theorist who is internationally renowned for his pioneering scholarship and activism on issues of gender, race and violence. As edACCESS’s featured speaker, Dr. Katz will be addressing the topics of diversity and inclusion — with specific focus on gender — within the educational technology field. He lectures and trains widely in the U.S. and around the world on the importance of promoting gender equity within our field as well as addressing the ways in which sexual orientation, race, ethnicity and religion affect our day to day encounters. Back by popular demand! 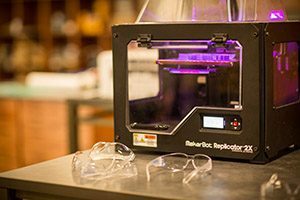 edACCESS will utilize Blair’s Makerspace and Robotics Facilities within the Chiang Center for Innovation and Collaboration to host sessions run by Blair’s technology instructor, Mike Garrant. These hands-on sessions will position attendees as students in the classroom, and invite them to work with fabrication and robotics equipment from a student perspective.